It’s full-blown winter here. Here’s a picture to warm the day a little. Actually this was taken a few months ago in the fall (autumn). 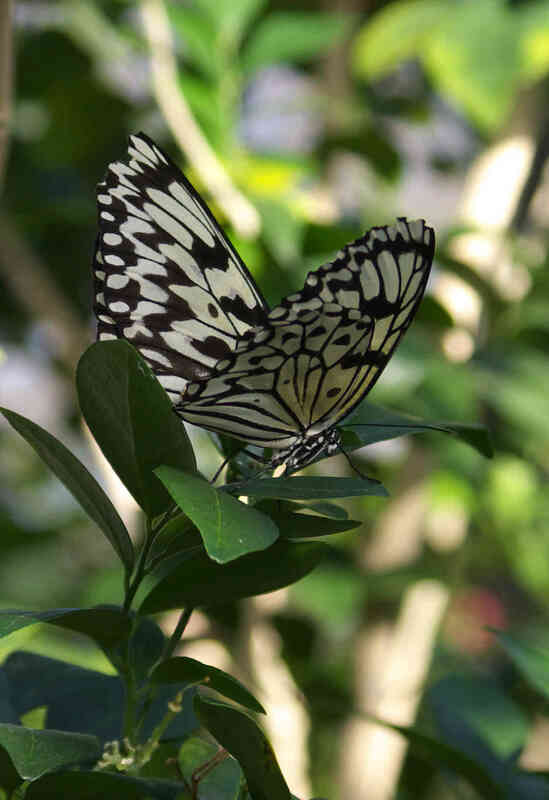 Just to be honest, it was taken at the zoo in the butterfly house. I could probably go there today and take the same picture. But I still feel a little better seeing it now. I hadn’t been to the zoo in at least a decade. It was good to go back. I brought my new camera with me and a 50-200 mm lens. When the day was over, more like when I was over, I had accumulated over 600 shots in the camera. A few were pretty good thanks to the subjects more than the photographer. This entry was posted on 01/09/2015 at 09:03 and is filed under Photos. You can follow any responses to this entry through the RSS 2.0 feed. You can leave a response, or trackback from your own site.